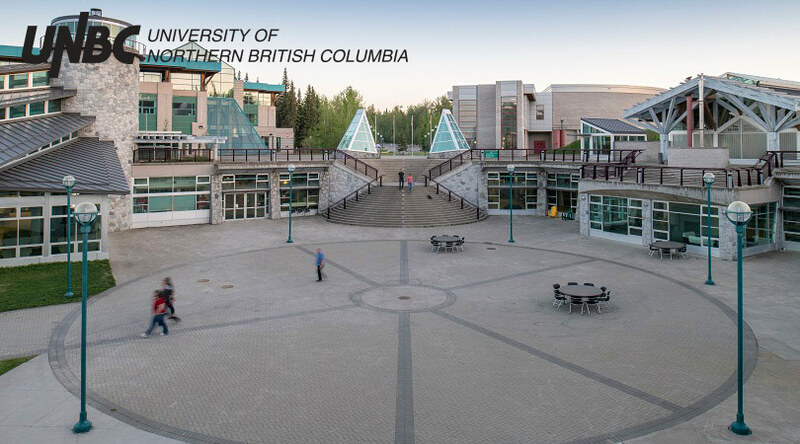 In 2017 the National Zero Waste Council conducted research on household food waste in Canada, and the results were astonishing. 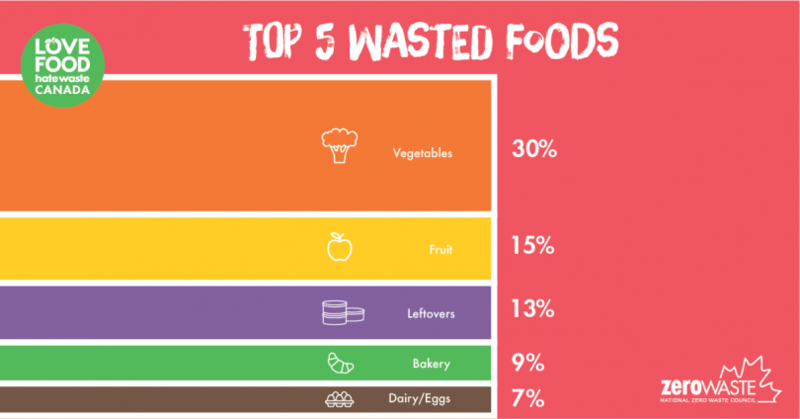 63% of the food Canadians throw away could have been eaten. 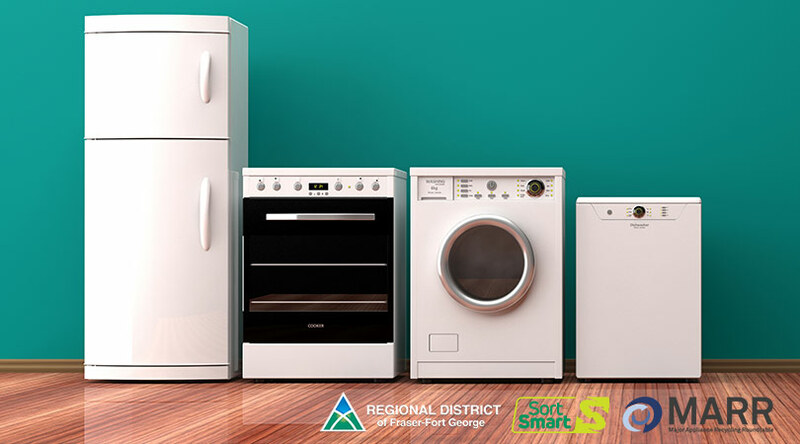 For the average Canadian household that amounts to 140 kilograms of wasted food per year – at a cost of more than $1,100 per year! 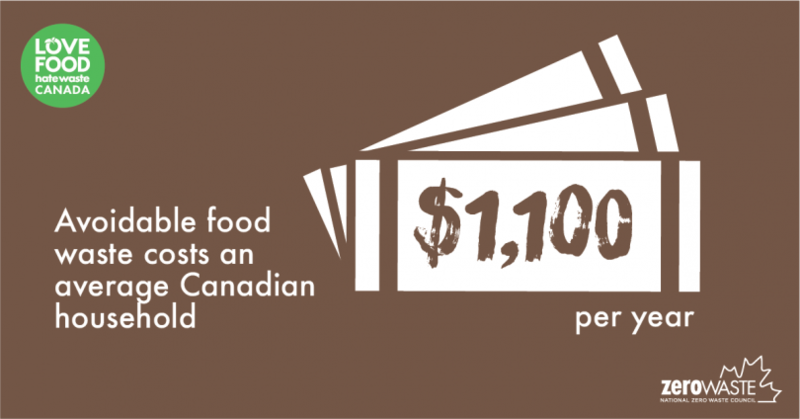 For Canada as a whole, that amounts to almost 2.2 million tonnesof edible food wasted each year, costing Canadians in excess of $17 billion! 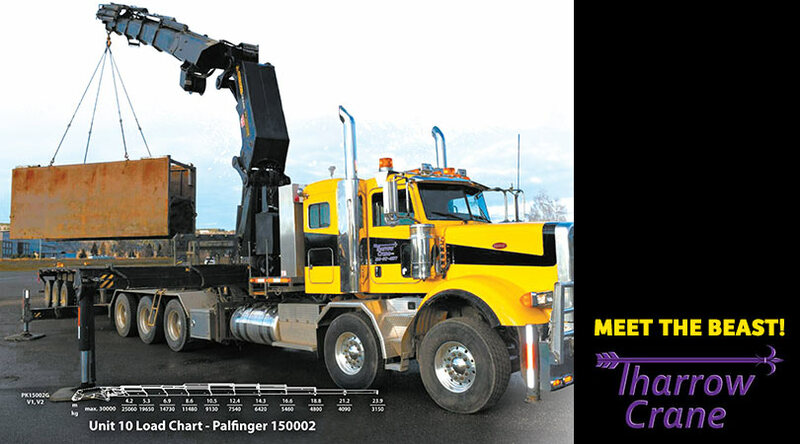 The Ministry of Environment and Climate Change Strategy have launched a new campaign to change this. 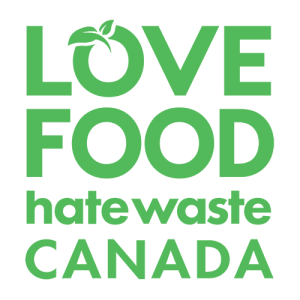 Love Food Hate Waste is a national campaign that encourages consumers to reduce food waste by providing simple and actionable tips to reduce food waste in the home. 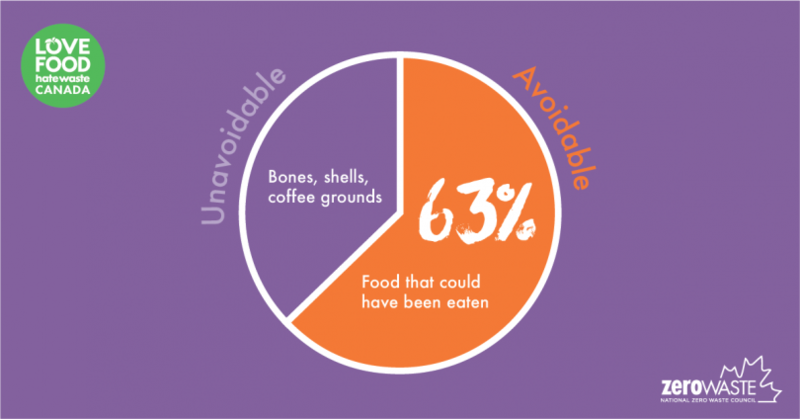 Inevitably, some food waste is unavoidable – this is the food that can’t generally be eaten, such as bones, vegetable peelings, egg shells, tea bags and coffee grounds. Avoidable food waste is the edible food that ends up in the compost bin or garbage can. Unfortunately, we often waste good food because we buy too much, cook too much, or don’t store it correctly. 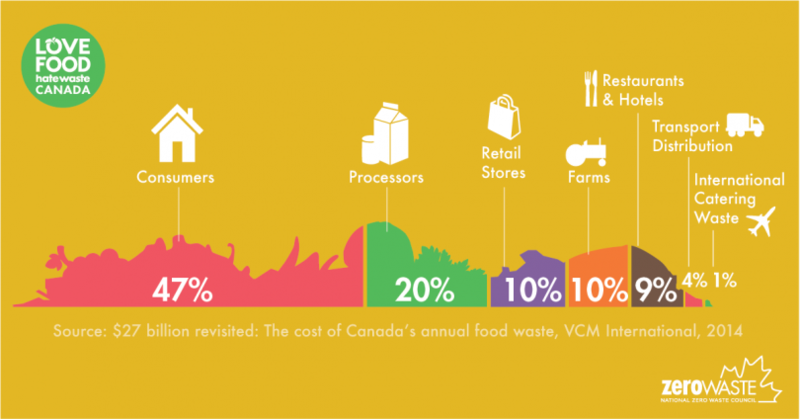 Wasting food hurts the environment and costs you money. The good news is that this problem is easy to solve and Love Food Hate Waste has easy tips to help get you started. 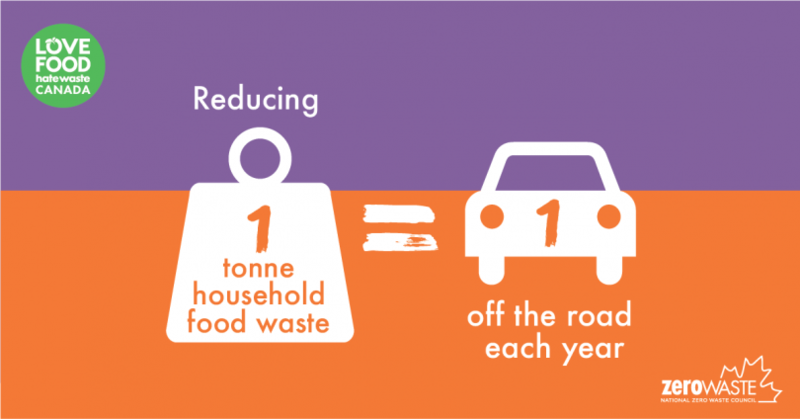 There are three major ways we can all reduce our food waste: Keep it Fresh – store your food properly so it stays fresh longer, Use It Up – use more of what you buy and Plan It Out – buy just what you need. Set your fridge at 4 degrees Celsius or lower. In the upper shelves put leftovers, drinks, ready-to-eat foods, and field berries. On the middle shelves, put your milk, eggs and dairy. The bottom shelf is for raw meat and seafood. Keep your cheese and deli meats in the deli drawer, usually located in the middle area of your fridge. In the crispers at the bottom, set one of the drawers to high humidity for vegetables that wilt, like leafy greens, broccoli, cucumber, and peppers. Set the other draw to low humidity for fruits and some veggies, like apples, pears, and grapes. For wilted veggies like celery, broccoli, and carrots simply soak them in ice water for 5 to 10 minutes and they will crisp up. Wilted veggies that can’t be restored are still good for cooking with. For stale crackers or bread, toast them for a couple of minutes. 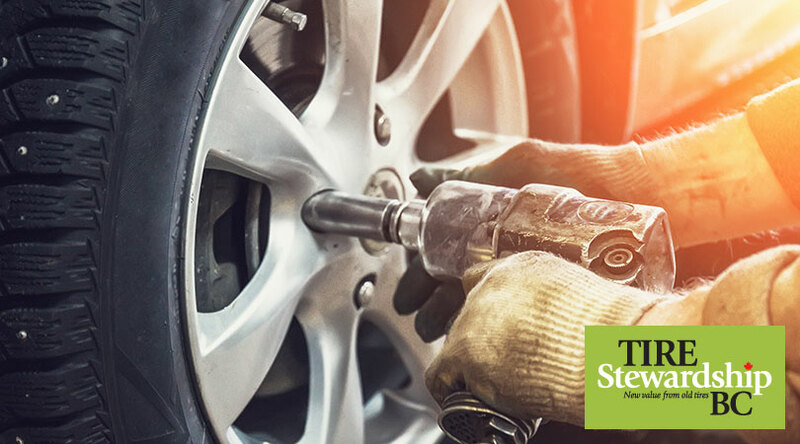 If you burn something, just put the unburned portion in a new pot and cover with a damp cloth for 10 minutes to remove the burnt flavour. And if you’ve overcooked something – put it in the blender and turn it into a soup or sauce. Start with your go-to meals and check the fridge to see what you have on hand already. Then add whatever ingredients you don’t already have to your shopping list. Ingredients often come in larger portions than we need so plan a couple meals that will use it all up. And be sure to use perishables earlier in the week, saving things like pasta for later so your fresh ingredients don’t have time to go bad. The objective of Love Food Hate Waste is to inspire and empower residents to reduce the amount of food they waste at home. 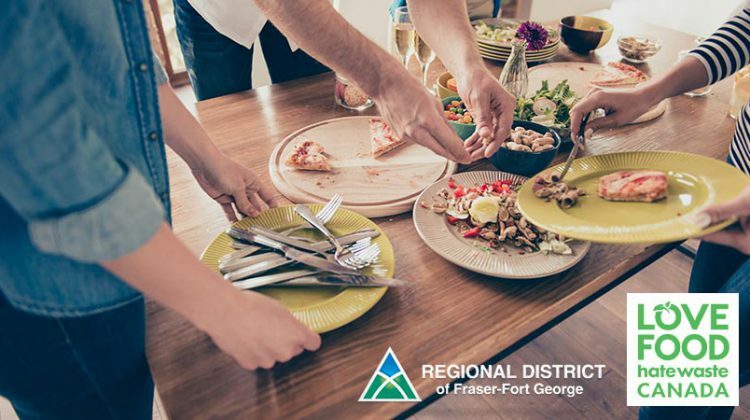 The Regional District of Fraser-Fort George is promoting Love Food Hate Waste as a means to reduce the amount of food waste going to landfill which in turn will help reduce greenhouse gas emissions. 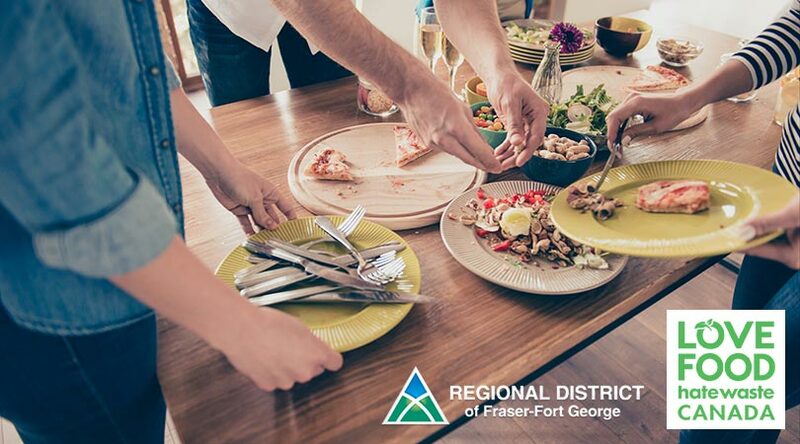 To learn more about food waste contact the Regional District of Fraser-Fort George or visit the “Love Food Hate Waste” website below.